Let's face it. 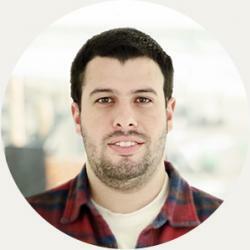 in Online marketing, people like you and I have a huge challenge facing us. Our culture is drowning in advertising and marketing messages. And with each passing year it's becoming more and more difficult to market our products. One of the hazards of today's online marketing landscape is that it's so easy to get caught up in the latest and greatest technology while ignoring proven yet simple tools that have stood the test of time – tools which have worked for thousands of years and continue to work today. What we desperately need is a proven way to ratchet up the effectiveness of our content marketing. Enter storytelling. That's right, storytelling! When prospects have an involvement with a product, they are more inclined to want to purchase it. This is one of the many reasons storytelling is such a powerful marketing tool. When a person is drawn into a story, they have a strong feeling of involvement with it. Indeed storytelling can be a very effective tool to capture and keep our potential customers' attention, engage them, interest them and help us market our products to them. But done poorly, storytelling won't live up to its marketing potential. Just like they won't buy from you just because you start using social media or email marketing or video marketing, people won't buy from you “just because” you tell them a story. We have to do storytelling right. First of all, like we've talked about so often on this blog, remember that marketers like you and I need to have and use a well-stocked marketing “toolbox”. Storytelling is a tool. It's potentially a very powerful marketing tool. But it needs to be done properly, and it needs to be used along with other tools. Remember the rules of effective copywriting when you are crafting your compelling story. You're telling a story, but the ultimate goal is to sell your product. Copywriting is selling through the written word, and it's important to your online marketing success. This blog has several great articles that talk in-depth about solid copywriting, so we won't go into detail about it here. Your readers don't care about you, your product or your company. In storytelling as part of online marketing it's no different. The story may be focused on a fictional character, but it still needs to revolve around the reader. Imagine for a moment that you are a recent college graduate wanting an advantage to help you land a great job and advance in your career. Or picture yourself as a middle-age executive who isn't content with his level of career success. We naturally resist when someone approaches us to sell us something. It's no different when we are reading a sales letter or other content marketing piece. We don't like to be sold to. And that's one of the beauties of the story from the Wall Street Journal letter. It “sells without selling”. It sets up a scenario where the reader “sells himself” on buying the product. Your company's brand is the perception your customers have about your product and service; it's what they say about you. It includes their customer experience when shopping and buying from you. And you can tell stories that will have a direct, powerful and positive effect on your brand, like the story of “two young men” had an effect on the Wall Street Journal's brand. So please harness the power of storytelling in your marketing. And don't be surprised when your sales results shoot through the roof! Congratulations! You've included powerful, persuasive, emotion-generating stories in your content marketing efforts. Your blog and website are getting more traffic. Your email subscriber list is growing. You have more social media followers who anxiously wait for and enthusiastically read and respond to your content. That's great! But there's something you can't neglect. There's a critical piece of the online marketing puzzle you must have. 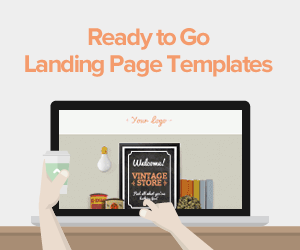 That's right, you need landing pages. 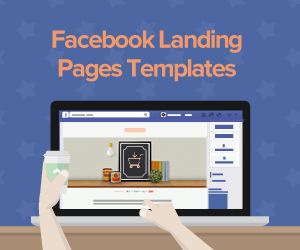 Whether you are running a B2B campaign where you are trying to win signups for your latest webinar or downloads for your new white paper, or you are running a B2C e-commerce store, you won't enjoy the highest conversion rates possible without landing pages as a part of your online marketing machine. 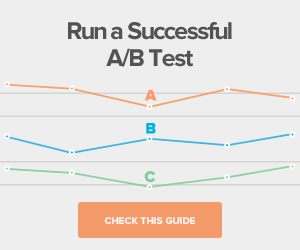 Advanced A/B testing – helps you refine your online marketing approach and make improvements so your results get better and better! 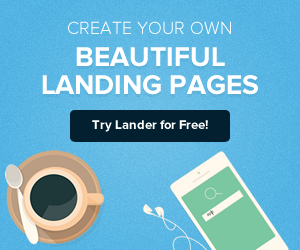 An intuitive, easy-to-use editor – quickly and easily design a beautiful landing page without having to learn a complex programming language! 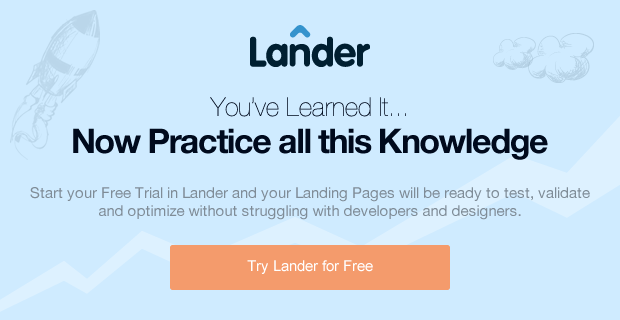 If you have any questions about Lander and how it can help you launch your conversion rates into the stratosphere, contact us today. We're here to help you!